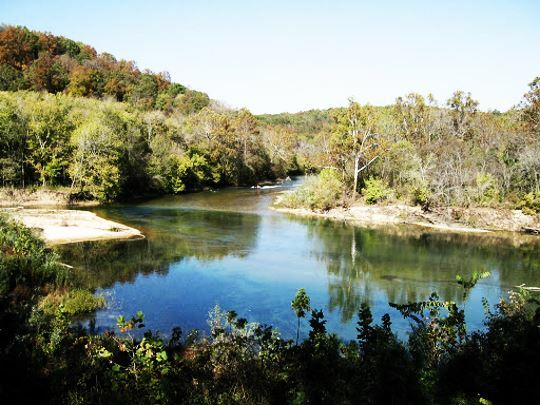 Two Rivers is the point in which the Jack’s Fork River runs into the Current River. This is located 8 miles east of Eminence. Take Hwy 106 five miles to Hwy V, turn left and go three miles to the end of the blacktop. A short way downstream is an old ferry crossing.